It’s National Book Review Month! Several years ago, SUNY Geneseo created National Book Review Month to “give readers an outlet to bring lesser known works to the forefront.” This year, NaRMo falls in March, so if you’ve read a book recently (of any genre, including “including children’s books, drama, non-fiction fiction and poetry”), you can go to the NaRMo website and submit a review for publication there. The only real rule is that the review must be between 100 and 1,000 words, though the website does have some great tips for crafting a review. Although I’m not a book blogger per se, I’ve been talking about books since the very beginning of this blog seven years ago. To my mind, there are three main reasons I write reviews of books. First, to help other readers. This seems pretty obvious. Reviews can help people decide whether they want to read a book or not, which is especially useful when they are going to be spending their hard-earned money on it by buying it. I personally like to read the 2 star reviews of books on Amazon, because those tend to have more specific, useful critiques than the one- or five-star reviews. Second, to help the authors. Many independently published authors depend on reviews on blogs as well sites like Goodreads and Amazon to entice new readers. When a book only has a dozen or so reviews, every one counts. So every time I read something by an indie author (often one of my blogger friends), I make sure to review it somewhere to give them some free publicity. Last, to help me. Part of the reason I started this blog was to have a space for my thoughts on books and other media. Reviews are sometimes a way for me to process what I read, as well as an outlet for me to share my thoughts. Like an internet-wide book club or something. I do try to avoid spoilers in my reviews, but sometimes I dive a little further into analysis than a proper review does. I also like to do brief reviews when I don’t have too much to say about a book. I’ve definitely learned a thing or two about reviewing books over seven years. I can’t even claim that I’m good at it now, and I’m certainly still learning. Here are a few things I’ve picked up since that first review. Give a picture of the book cover. Not only does it give your post some visual interest, but it also helps people remember the book better if they come across it again. Of course I prefer to take a pic of my own copy if possible, but most of the time I just end up using an image of the cover art. A short summary is helpful to give some context of the book. I’ve been using snippets from Goodreads summaries recently (with attribution of course). I like to review both books that I know many people have read (so I can have a discussion) and also some that I know will be new to readers (so I can convince them all to read it, and then have a discussion). I also tend to stick to the sci-fi/fantasy genres here on the blog, though I do go outside that occasionally for a special book. For trilogies or series, I will often write only one review for the whole thing (though I often focus on the first book, which helps avoid spoilers). Since I’m not a book blogger with ARCs or anything, my reviews aren’t usually about current releases, and I’m not sure that anyone wants to read a review of just the third book of a trilogy from five years ago or something. If you haven’t read the first two already, what’s the point? And if you have read the first two, but not the third, by now, well, that seems weird, too. Okay, I’ve babbled long enough. Do you guys enjoy writing book reviews? Will you participate in NaRMo this year? I’m going to try to post a review for NaRMo next week, as I’ve read several books recently. Have you guys enjoyed reading my reviews? Even better, have you read any books because I recommended them?? I’ve been a little bit behind on my book reviews, seeing as how this is my first of the year even though February’s almost over. But I have been doing some good reading, so here are two great books I want to share with you. This was the last book I read in 2018 and it was a great way to cap off the year. This is a book for anyone who loves books. The Shadow of the Wind is the first in the Cemetery of Forgotten Books series; it concluded last year with The Labyrinth of the Spirits. Part of the draw for me was the setting. 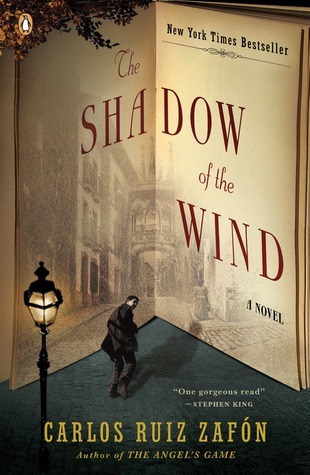 It takes place in post-civil war Barcelona, Spain under the Franco dictatorship. These were very dark and brutal times, and in my experience many people in Spain don’t really want to talk about this era. But it is a great setting for this mystery/thriller, which also has a bit of romance that keeps it hopeful. The story shows how thin the line can be between fiction and reality. After reading it, I even got the Spanish edition of the book so I can now read it in the original. I really want to hear the authentic voice of the slightly-manic Fermin, even though I think I will have to look up a lot of his vocabulary. 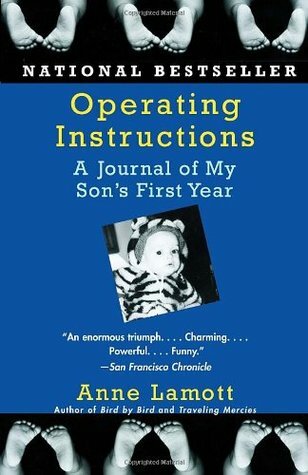 I began reading this soon after my son turned one; I thought it this memoir would be a good way to reflect on my son’s first year, and I hadn’t been ready to revisit that time in my life until recently. It is really a perfect encapsulation of the first year of motherhood, and the writing is just great. It made me alternately cry and laugh out loud, and I mean both literally. I highlighted several passages in my Kindle, which I rarely do. Lamott had some struggles that I didn’t, and likewise I had some that she didn’t, but her story still really rang true for me. Lamott’s voice in this really reminded me of Carrie Fisher’s in her memoirs like Shockaholic and Wishful Drinking. Both recovering addicts, they reflect openly on their mental health and veer into dark humor. And while Lamott is liberal like Fisher (she harangues the comparatively mild George Bush in a way that now seems ironic), she also is staunchly Christian as well. This is a potent combination for me since I am also both liberal and Christian, but it may be a turn-off for those who are not. Another cool note is that this book introduces a story about her father encouraging her brother to do a biology report by taking it “bird by bird.” This quote shapes her later book on writing of the same name, which I also really recommend. In some ways, 2018 was a great year for reading. But it had its downsides, too. I was once again able to read approximately 100 books this year (not counting re-reads). But being a parent has really changed how and what I’m reading, which is disappointing to me. Here are some notes from my reading this year and my goals for next year. PBS’s Great American Read was the highlight of my reading year. I had great fun reading four of the books on the Top 100 list, bringing my total read to 36, and voting for my favorites in the contest. To Kill a Mockingbird was the big winner, but many of my favorites rounded out the top five. You can read more about it here. When I was getting back to reading earlier this year, I picked up the A Darker Shade of Magic trilogy by VE Schwab and fell in love. You can read my longer review here. I then went on to read Vicious, which I may love even more! I’m still working my way through the rest of her repertoire, so expect to see more about her other novels next year. I tried listening to some audiobooks for the first time this year and had a mixed reaction. I listened to two romance novels and VE Schwab’s Venegeful (sequel to Vicious). I did enjoy listening to them on my commute, but I actually like listening to music just as well. Mostly, I felt very impatient with them. I was listening to them on 1.5 speed, and it still took hours longer to listen to them than it would have to read them. I also didn’t really like the voice performance aspect, because when I read of course I never do different voices for characters in my head, so that was a bit weird to me to hear that. What do you guys think? Should I keep trying? Do you have suggestions for books that are really good as audiobooks? One of my goals at the end of last year was to review more of what I am reading here, and I’m happy that I did review a lot of my genre reads here on the blog. Although I read about 100 books, about 80 of these were Regency romances, and I would say only about half of those were worthwhile reading. So I hit the mark for quantity but not quality. Hence I want to change a few things in my reading next year. Read from more genres. Although I did read a good mix of sci-fi and fantasy, as well as evenly from adult and YA, I barely read any manga or comics and no nonfiction at all this year. I also want to read more short stories and historical fiction. Finish Heyer’s romances. I’m not giving up Regency romance entirely! I mentioned last year that I began reading through the works of Georgette Heyer, and I was able to read several more this year. I have yet to be really disappointed by a single one of her stories. I want to finish reading her oeuvre of historical romances (I only have about five left) and maybe try some of her mysteries. Finish the books I started. I started 11 books this year that I was unable to finish before they had to go back to the library. Eleven!! I would check out too many books on my Kindle, then not get to one until it was almost due, then be unable to finish it. I couldn’t renew because they all have long wait lists. It was a vicious cycle I want to break next year. Because my reading time is more limited now, I need to be a little more focused in my reading and maybe not check out every single ebook that looks vaguely interesting. I’ve also discovered that I can “suspend” holds, so instead of a library book just showing up on my Kindle when it comes available, it won’t come until I’m ready for it. What books did you enjoy most in 2018? Do you have reading goals for 2019?